Those of you that follow me on Twitter will know, I have been in the process of being diagnosed for possibly Inflammatory bowel disease or Coeliac disease. After a colonoscopy and endoscopy just over a month ago, followed a few weeks later by an MRI scan I have finally got a diagnoses. After having Coeliac type symptoms, looking back now for about 30 years, I eventually found a Doctor who was prepared to look again at a diagnoses rather than sticking with the label of Irritable bowel disease . I had never been satisfied with the initial diagnoses and for probably 7 years I have been wheat free and about 4 years ago now I have been gluten free as I did research about gluten intolerance and found lots of similarities with my condition. Unfortunately after such a long time eating food that was causing me damage I am now intolerant to yeast ( wine, vinegar etc ) and onions and garlic all giving me the same symptoms as gluten, bloating and painful cramps. After the two procedures I have decided I needed to work even harder to heal my insides. I have been researching, reading books, blogs, tweets etc watching videos trying to take information from lots of different sources. In doing so I have also learnt about the problems with Sugar and Fructose in our diet. I am now sugar free except the occasional birthday or special celebration when I make or bake using dextrose, raw honey or brown rice syrup. I can honestly say I don’t crave sugar anymore. I baked 50 gluten free cakes the other day for a holiday club and had no desire to eat one. It can be done! Parmesan cheese , macadamia nuts have been my go to treats. I have removed all alcohol too, to help with the healing process. Again, this has been easier than I imagined. I have been researching FODMAPS and Specific Carbohydrate Diet looking at removing all grains including rice and lowering possibly excluding cows milk and caffeine . 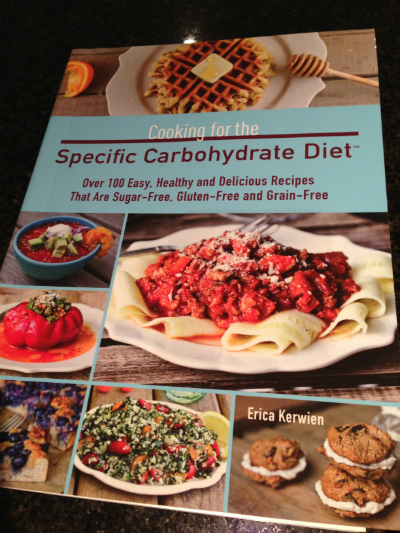 I think I will stick with Specific carbohydrate diet for now and see how this goes. Avoiding sugar, grains, starchy vegetables and some dairy. Finally on Wednesday it was time to go back and see my Gastro specialist, I took my husband with me in case I didn’t take in everything the Doctor told me. I had been waiting for this moment for many years. If Im honest I had got my head around Coeliac disease and ticked all the boxes for the condition and If I was a betting woman I would have put my money on Coeliac disease. Unfortunately this wasn’t the case and I was told I had Crohns disease which is an inflammatory bowel disease. My biopsies were inconclusive but from the evidence he had from Colonoscopy and the MRI scan he concluded it was Crohns. I was told the types of medication I could have. ( I have no idea what he said ) But Mr S attempted to write down the Drugs names. Surely not the best way to give out important facts. We needed a leaflet with correct spellings of drugs and some basic advice and information. I was given no information, just told to check out National association of Crohns and Colitis and go home and do my homework! When I asked about Coeliac disease and reminded him how long it was since I had eaten gluten. The Doctor said Coeliac disease could not be ruled out although he saw no damage when he did the endoscopy. He asked me how my health was at the present time and I was thrilled to tell him how well I felt really well and that I was managing the disease by eating very healthily. I could tell he wasn’t convinced that the healthy diet was making much of a difference. He told me to come back in 4 months, sooner if I had a major flare up and to have more blood tests. Well, I left the hospital with a scary new ‘label’, I knew very little about the disease. Only knowing one person with Crohns who was regularly hospitalised and a cousin with Ulcerative Colitis, who has had many tough years of medication and operations. I think its fair to say I was in shock, and still am a bit. But as a few wise Twitter friends reminded me, nothing has changed, its just a new label. I have never had a major flare up. over 30 years.Only been in hospital for these recent procedures. In the past I probably have had one possible two days a month when I have cramps and sickness or brain fog after being accidentally glutened or after eating one of my other food intolerances. Even that seems to be reducing, but its early days yet. Since changing my diet my weight is staying constant and so far I have not had any bloating. After hearing strong medication mentioned I am determined to keep this disease from flaring, using a healthy diet removing many known irritants to the body. If you feel symptoms you have are not being taken seriously, seek another Doctors opinion. It took me 30 years and 3 separate surgeries in two counties and many many doctors to reach my diagnoses. Don’t give up! Maybe try Specific carbohydrate diet or FODMAPS to see if that could help. I still haven’t really started looking at information about Crohns disease, but know that it is my next task. Here’s to staying Fabulously Free From and eating only gorgeous fresh nutritious food!